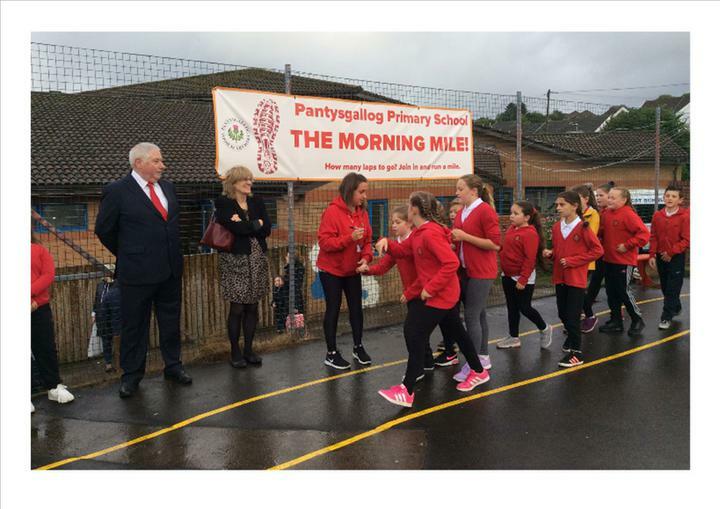 Welsh Assembly Minister for Social Services and Public Health Rebecca Evans visited school on Thursday 29th September to watch pupils take part in The Morning Mile. 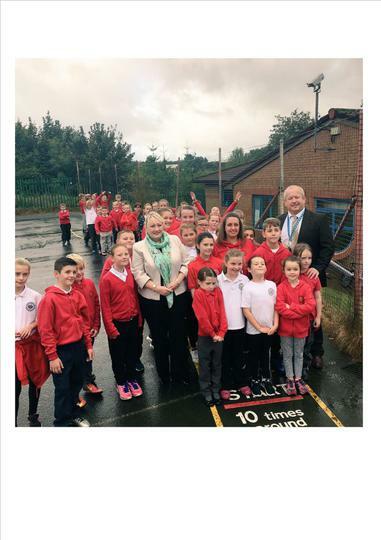 The ‘Mile’ was adopted by staff having seen something similar being celebrated on The Pride of Britain Awards. 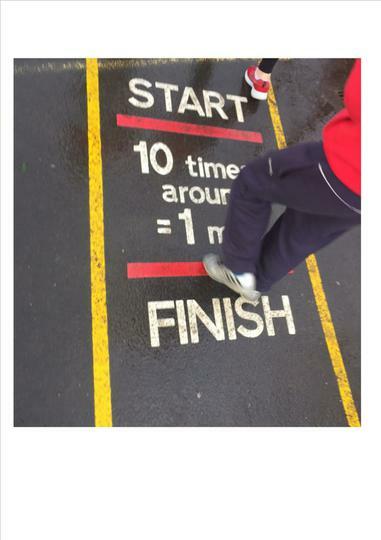 Each morning Key Stage 2 pupils run 10 laps of the school yard, which has a 160m running track marked out, covering 1600m or 1 mile. 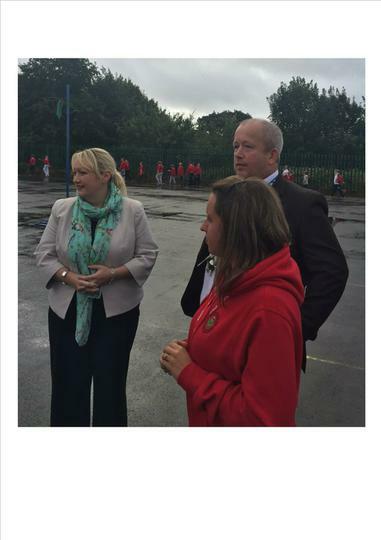 On average over 50 pupils take part every morning. The activity is organised by the school PE Coordinator Miss Rebecca Rogers and Year 6 pupils, who use cards to track the distance covered by individual pupils over the term. 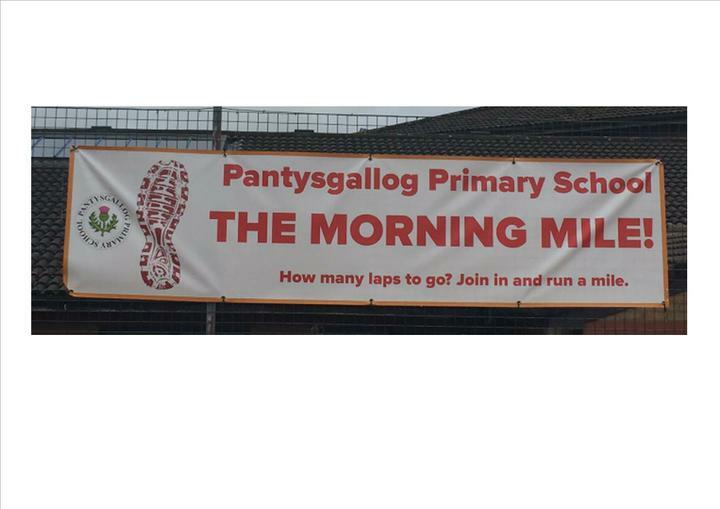 Staff have noted that pupils who take part in the Mile come into class more alert and more read for learning, so aside form the obvious health benefits the school is also seeing a positive impact upon learning. 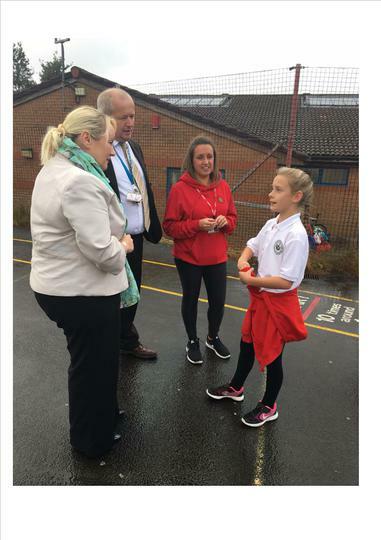 Also at the school on Thursday were Mr Phil Williams, Deputy Leader of Merthyr County Borough Council, Mrs Dorothy Haines, Chief Education officer, Mr John Sellwood – Head of leisure and Vicky Jones from the authority’s sports department.